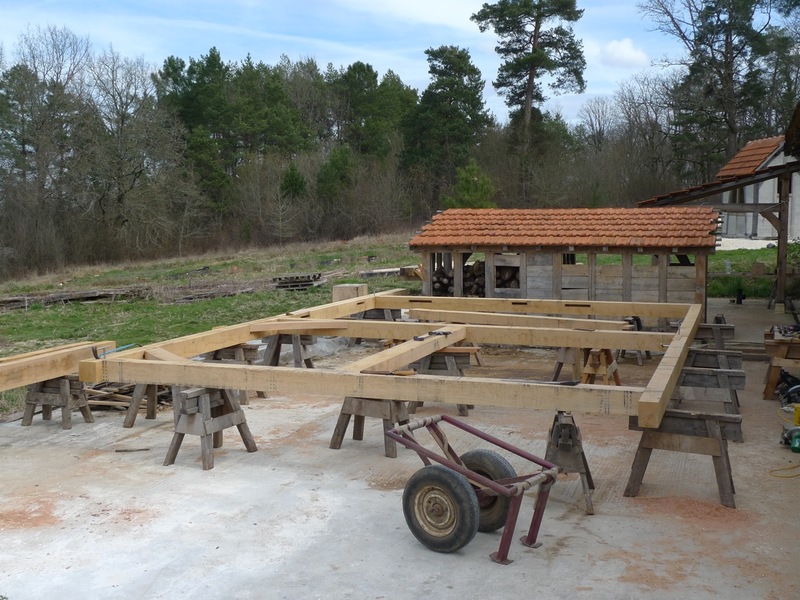 We build oak house frames, made to measure. 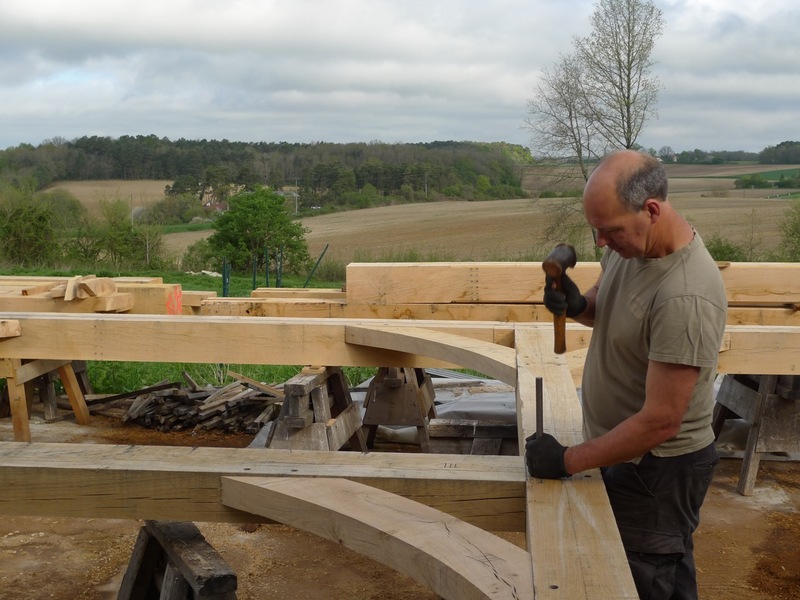 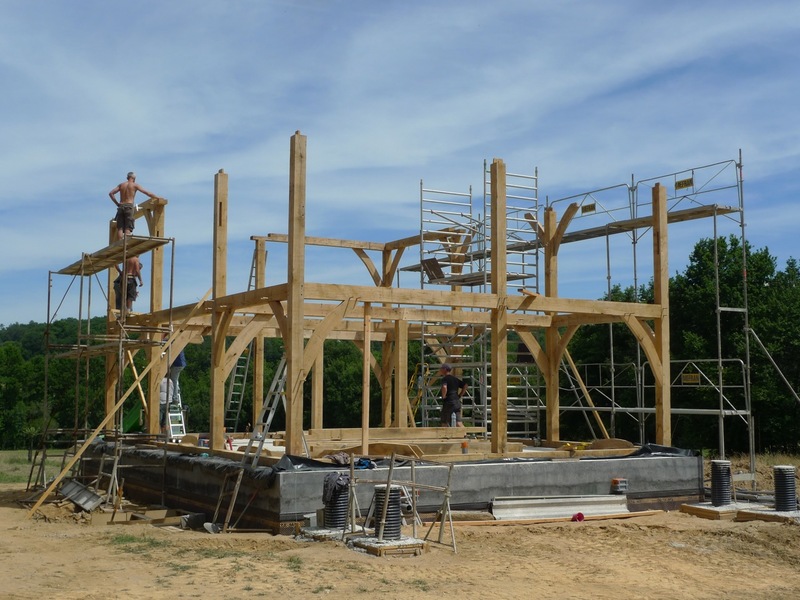 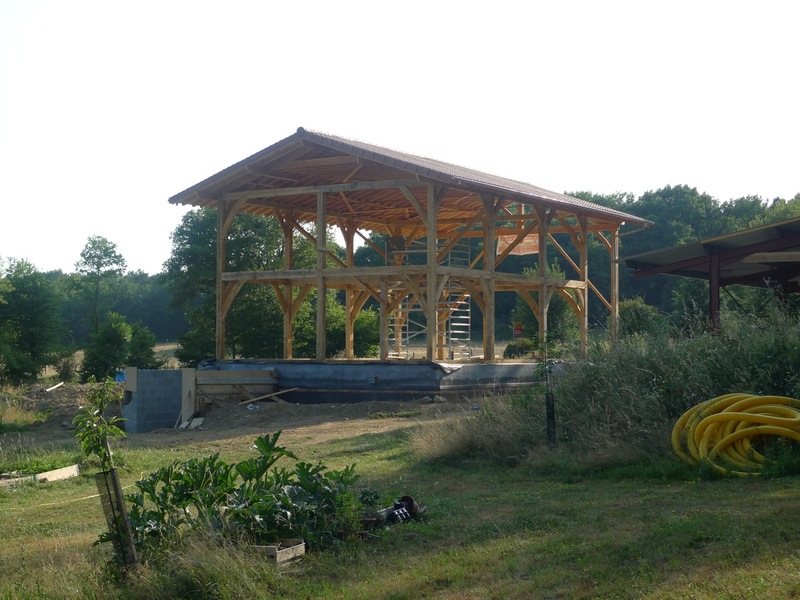 This oak timber frame was built for clients in the Dordogne in summer 2015. 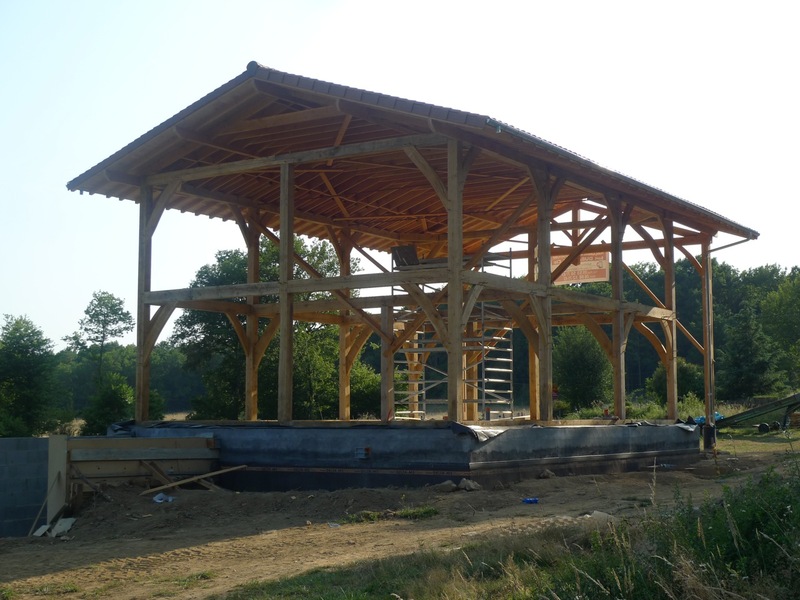 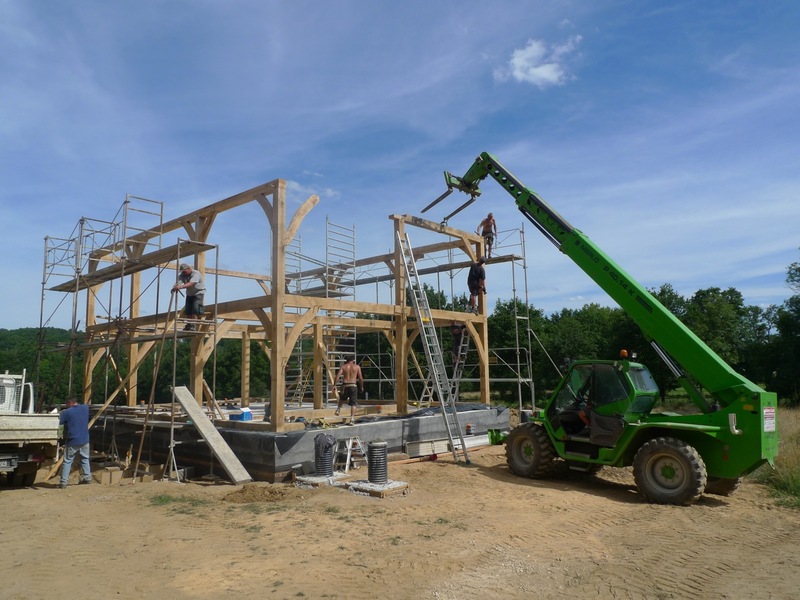 The frame for this eco-house will be clad with straw bales and will be visible in the finished interior.